Jenmarie from Anakin And His Angel has shared a great Star Wars outfit with a bounty hunter theme. Her outfit features a t-shirt from the ‘Smuggler’s Bounty’ subscription box, and the Love And Madness x Star Wars crawl wrap bracelet – check out her blog post for photos. Jenmarie has also posted a review of the Love And Madness Death Star midi ring – check out her photos here. 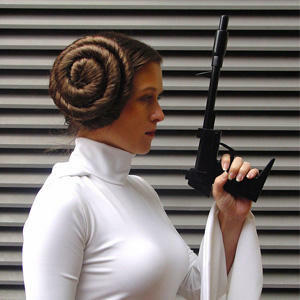 Bria from the blog White Hot Room has shared two great Star Wars outfits! Her first outfit is First Order themed, and features the Her Universe First Order Stormtrooper skirt, paired with a black crop top, black heels, and a First Order logo necklace – check out her photos here. Bria’s second outfit is a stylish take on real-world Jedi style, with a lovely dress from ASOS – check out her photos here. Jay Krebs at Coffee With Kenobi has posted a review of two Loungefly x Star Wars handbags. Her post features the BB-8 mini dome bag, and the Boba Fett brown crossbody bag – it’s great to read how well her bags have fared with over a year of constant use! Read her Loungefly handbag reviews here. Jay has also shared her review of the popular Love And Madness x Star Wars crawl wrap bracelet – read her bracelet review here. If you like DIY, Jay has also posted a tutorial for converting t-shirts into tank tops – great for those ‘too big’ men’s Star Wars tees! Read her tutorial here. 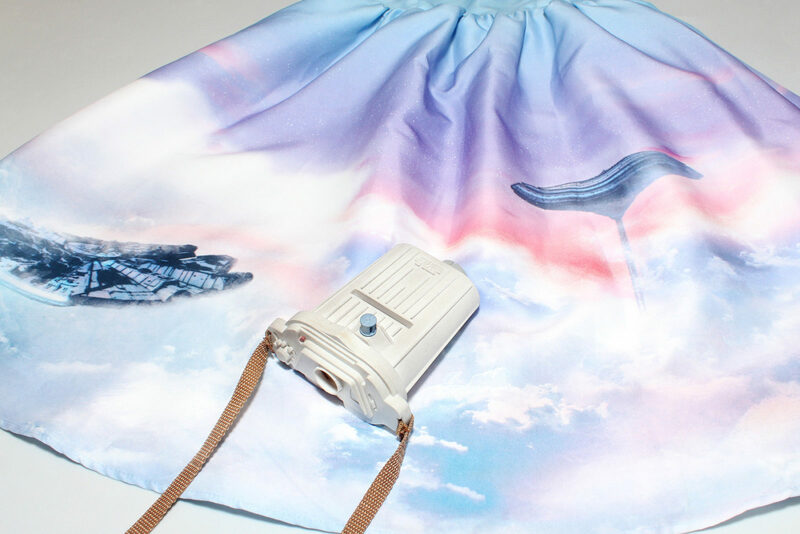 Instagram user puck8715 has shared her gorgeous DIY Star Wars maxi skirt! A skilled costumer, Puck made the skirt from licensed First Order themed fabric to wear to the 501st Legion Bash at Celebration Europe – check out her in-progress photo here, and finished outfit here. Instagram user amandajeannn wore an amazing Greedo pattern dress at Celebration Europe! It’s so fun seeing a less-used character for Star Wars fashion – I never thought I’d ever see a Greedo dress! The green dress features a repeating print of the famous Rodian bounty hunter – check out her photos here and here. Instagram user creativelylori has shared a neat DIY project – turning a Darth Vader sweatshirt into a button-up cardigan! A great idea of turning an item that is slightly too small into something versatile – check out her work on Instagram here. Daisy Ridley shared a new video on Instagram, where she is fitting in a workout between filming scenes for Episode VIII. In the video, Daisy has a pillowcase tied around her hairstyle, and she wrote “Ran to tthe gym between different set ups so wore a pillowcase on my head to protect my REY HAIRSTYLE from Instagram’s gaze“. We can only wait and see if Rey will have a new hairstyle for fans to copy – watch the video on Instagram here. Daisy Ridley shared a photo from the Episode 8 wrap party, where she wore a dress by Preen by Thornton Bregazzi! While the dress wasn’t from the well-known Preen x Star Wars collection, it’s still exciting to see the connection. I recognised the black/red/white dress straight away, having also been worn by Scarlett Johansson to the G’Day USA Gala / AACTA International Awards on January 31, 2015. Check out Daisy Ridley’s photo on Instagram here. Carrie Fisher and her daughter Billie Lourd (who played Lieutenant Connix in The Force Awakens) attended the red carpet premiere of the ‘Absolutely Fabulous’ film in London. The pair looked amazing, and were of course accompanied by Carrie’s dog Gary Fisher – see photos here. The ‘geek’ theme at Preview magazine’s 21st anniversary ball in Manila inspired several attendees to create Star Wars themed outfits for the event. Amongst the party goers, Gabs Gibbs and Chi Gibbs wore complimentary Darth Vader and Princess Leia inspired looks, Romina Nañagas wore a Stormtrooper hoodie, Hannah Pechon wore a Darth Vader bodysuit, Janina Dizon-Hoshka wore a Star Wars logo top, and Maui Rodriguez accessorised her black dress with a Darth Vader lightsaber! Check out the full galleries from the event at StyleBible.ph.